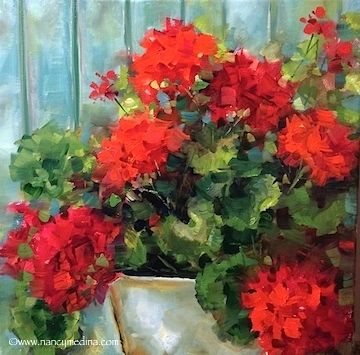 Garden Covenant Red Geraniums is the daily newbie in Flower Mound Studio, as I begin work on a similar painting for a very special client for her beautiful cottage home. I received a note today from one of my students, Paul Duda. If any one thing could tell me I've made the right choice to become a full time artist and teacher, this is it. Thank you so much Paul, for sharing your fabulous success with me. One of the best things about my new job is meeting talented, motivated and creative souls from all over the world. Here's Paul's note, shared with me along with his painting, just installed in downtown Cleveland after being acquired by a corporation there. 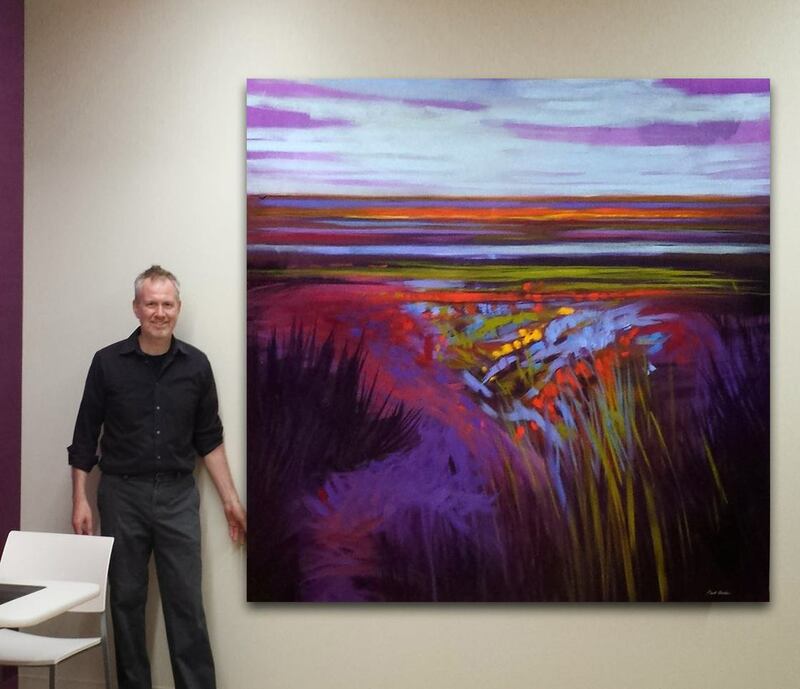 Congratulations Paul, for taking color to a whole new level, Bravo! Nancy, this is the first painting I sold using your methods. Thank you for the knowledge! It benefited me greatly. Taking color to another level! Bravo Paul!